It is a natural emollient that helps soothe and moisturiser the skin. It contains Vitamins A, B6, and E. Goat’s milk has three times more beta-casein than cow’s milk, which are easily absorbed into the skin and allow for quick hydration of dry skin. The content of triglycerides, capric, caprylic and caproic acid helps balance the skin’s natural pH and promotes natural exfoliation of dry skin. 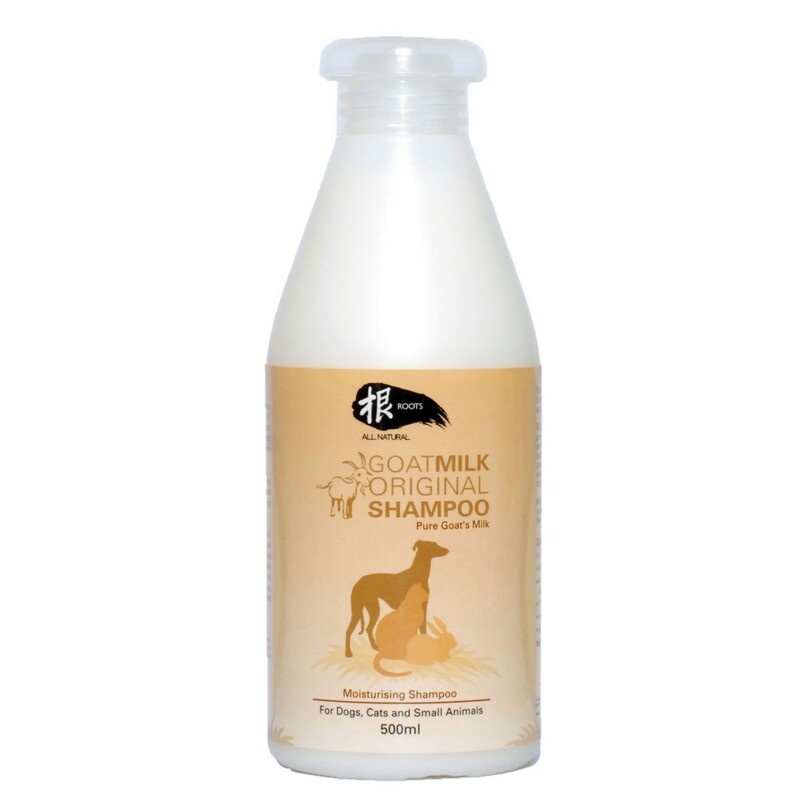 With continuous use, goat’s milk shampoo will keep your pet’s coat vibrant and healthy. Deionised Water, Disodium Cocoamphodiacetate, Cocamidopropyl Betaine, EGDS, Polyquaternium-7, Amodimethicone, Aloe Vera Extract, Milk Extract, Lanolin PEG-75, Dimethicone PEG-8 Meadowformate, Triclosan, Citric Acid, DMDM Hydantoin, IPBC, Skin-safe Fragrance Oils.